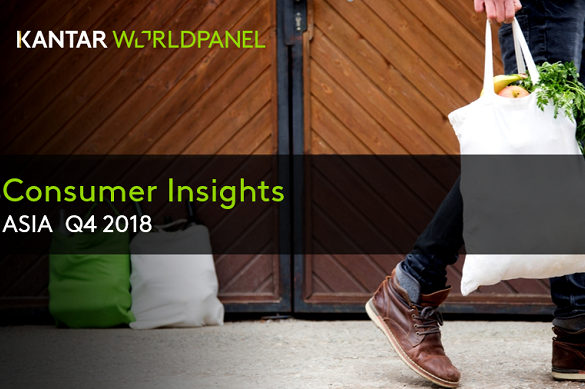 2018 Q4 Asia Consumer Insights report is now available with FMCG trends in a variety of categories in the region, covering China, Indonesia, Korea, Taiwan, Vietnam, Malaysia, Thailand, Philippines, India and Saudi Arabia. FMCG: Consumer spending remains positive across Asia; Philippines the star performer from heavier basket size across demographics. FOOD: Demand is stable with convenience food items posted growth in Korea, Philippines and Indonesia. BEVERAGES: Stronger growth is registered; NPDs continue to drive consumers attention and growth in Taiwan. DAIRY: Growth has slowed down with Indonesia’s decline mainly driven IFFO Gump. HOME CARE: Posted stronger growth this year with Thailand shoppers making heavier basket size. PERSONAL CARE: Growth remained stable in Q4 as self image continues to be important to Asia consumers.